Want to know what the next generation of smartphone is going to look like? Or are you stuck in the past, still enamoured by your Nokia 3310? We're going to be presenting two shows a day in the Hub Theatre at the Gadget Show Live Christmas at London's ExCel Centre, so come on down to reminisce with us, watch some futuristic role play or just see what's going to be in your pocket (or attached somewhere else) in the smartphone world. With more than 150 companies signed up for the show, you can check out a smorgasbord of gadget wizardry, from the likes of Acer to Samsung to being able to check out the latest issue of the new iPad magazine tech. from the makers of TechRadar. But we're not going to just talk phones with you – there's a chance to walk away with a top-end handset for any one that thinks they're a wizard on an old-school handset. 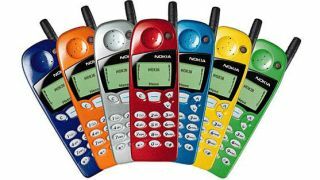 We've got our hands on a plethora of old school Nokia phones, so whether you're a fan of the 5510, the 3210, 3310 or 8210 we need four willing players for each show who think they can still get a high score on the classic 'Snake' game of the '90s. So whether you want to see the future, gaze into the past, show that Snake will always be better than Angry Birds or just quiz us on why we haven't featured your favourite handset, head on over to http://www.gadgetshowlive.net/ and pick yourself up a ticket.